I love a parade! Especially the Paul Bunyan Days Labor Day Parade. It’s quite a spectacle… there are fun-to-funky floats, lively bands, marching groups of all stripes, sizes and abilities… plus some entries that simply defy description. Everyone turns out – if they’re not in the parade, they’re sitting on curbs, camp stools, lawn chairs and backs of trucks cheering friends and families! It’s the perfect small town event, one not to be missed. Come early to snag a good spot – and leave plenty of time to walk-in once adjacent roads close. 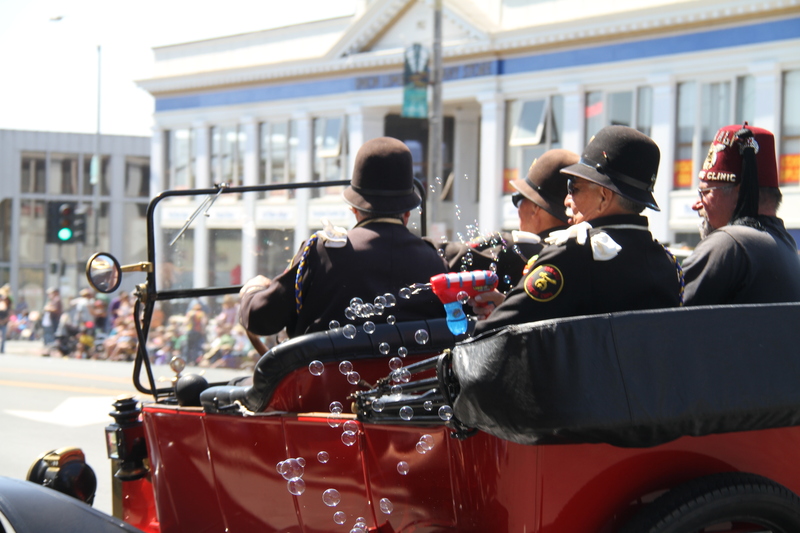 The parade is always on Labor Day; it begins at 12 noon; participants start checking in at the Pine Street Skunk Train parking lot at 10. This year’s theme is “Under the Big Top with Paul and Babe”.